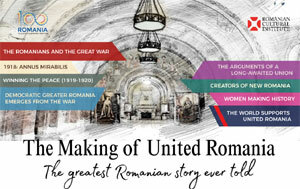 The House of Romania, situated in the prestigious Belgrave Square, one of the grandest and largest 19th century squares in London, has a rich history. It was erected in the 1840s, was appropriated by the Romanian government before WWII and has functioned as embassy, ambassadorial residence or cultural institute ever since. Our enthusiastic friends from Adrienne Photography have finished a short video documentary that takes us into all corners of this majestic building.